Most of the Landlord Law content can be located easily via the drop-down menus on the green 'nav bar' at the top of the screen or via the index pages or the links boxes on the right of the screen. Below are some screenshots showing the drop-down menus and links boxes - however, note that these do change sometimes so do not worry if what you see on the site now is not exactly the same as in the picture. Note that the site header now looks different as we have additional buttons. Note that if you are not a logged in member, many of the links and pages discussed below will not show for you. Even if you are a member, the links you see will depend on your membership type. Note that the Rent Manager and Tenant Big book pages are no longer available. The drop down menu on the words 'landlords & agents' is one of the main ways you can find content. Each of the links (there are many more than are shown in the picture) will lead to an index page where you will find links to the different content on that topic. It is recommended that if you are looking for content on a topic, you find it via the index page rather than via the search box. Normally if we have content on a topic it will be linked from the relevant index page. If you are looking for anything to do with Eviction of tenants, you will find it linked from the Eviction drop down menu. Note that the top 'Which Possession Proceedings?' link is a free version for non-members - if you are a member the second link which is the members' version will be more informative. The Eviction Kit itself is only available to +plus members, so if you are logged in as a standard member you will not see the link at the bottom (although all standard members get upgraded after they have been a member for 4 months so you will see it eventually). On the Resources link, you will find links to other parts of the site, such as the Occupation Types section and the Rent Arrears Action Plan (members need to click the second link, the top one is for non-members) and the legal cases section. The Conference link at the top has film footage from some of our past Conferences, but these will only be available to +Plus members. The final menu shown here is the forms and letter which has some quite important links. In particular the Which Tenancy trail and the Tenancy Agreements section (although these are also linked from the Tenancy Agreements index page). Likewise, the possession notices page is also linked from the Problems / Eviction index page. There is often more than one way to find content! The other menu links are 'Services' which is where you will find links to allow you to book and pay for telephone advice and other 'pay extra' services, and our Welsh section which at the time of writing this is still in development. If you are not a member and are considering joining Landlord Law, you will need either the 'join here' link on the far right or the 'find out more' link on the home page. Another useful navigation aid is the members' links block which will appear on the right of most pages after you have logged in. This has links to your membership pages, the forum, this help section and the 'new content' section. Don't worry about the groups link as this is not used often - if you need it we will let you know. Below this you will often find useful links - frequently these will relate to the content on the page. For example, here we are on one of the 'Occupation Types' pages which has links to other pages in that section. Sometimes the box will be a link to all the index pages for the different content on the site. Note that if you land on a tenant information page, this will have a note saying that the content is no longer being maintained. We closed the tenant part of the site down at the end of 2014 but left the tenant content as an archive as some members said they would like to have access to it. 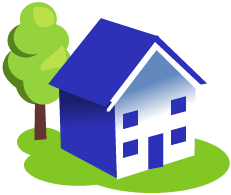 You will find some very useful links from your 'My Landlord Law' page. You will be able to reach this by clicking the orange My Landlord Law button on the top right of every screen, and also by clicking the Home page link on the nav bar. As you will see there are links to messages in the green box and your documents, the forum and your groups (if any) on the orange box. Then, below this, you will find some little boxes which link to some different index pages, which will allow you to find content. These boxes used to be on the Home Page, but when the site redesign was done, we moved them here so you could still use them. I hope this guide has been helpful and will allow you to find the content you need. Generally, you will find it easier to locate the content you need by following the links and index pages, as the search results can be unreliable. If you are new to the site, I suggest you click around the various links and explore the content. There is a lot here! Note also that new members will (after a few days) be automatically signed up to our members' tips email sequence which will send an email every week giving information about some aspect or content on the Landlord Law site. There are in the region of 40 of these emails which just shows what a lot of content we have! If you are not a new member you can sign up to the tips sequence on the New Content page here.